Wing is Mario's Wild Wing who got turned to life. He is arrogant and reckless, but reasonable. He likes to give rides for his friends and likes going at a really top speed. No matter what Mario does to him, he stays loyal to Mario. Sorry thought my previous post was getting too long. It's more annoying to double post. If you want your post to be smaller, use a smaller font or Arial Narrow. Not trying to minimod, just trying to be helpful. 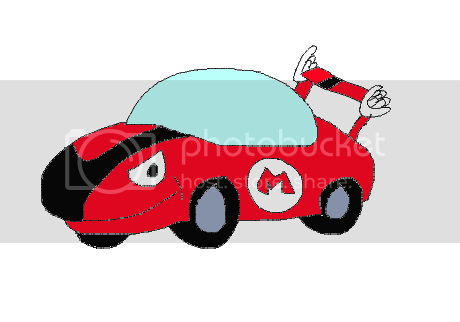 To be on topic, here's a Mario character I made up a long time ago. Anyone has permission to use it, lol. Mario can't drop her in a pit just for an extra jump. If Mario does drop her, she will just fly away.. I'm on DeviantART as mortimermcmirestinks, on Super Mario Wiki as Krizzy, and Userpedia as Krizzy. Motive: To help mario defeat dimentio, the evil jester from Super paper mario. (Again) This would a game called 'Super Paper Mario 2, The tribe of darkness" After her parents died when she was 6, Princess Dimentia had to rule this huge kingdom of darkness, which is part of the Tribe of darkness's dark empire, with no one to help but her loyal jester, Devon. As Devon and Dimentia grew up, they started to fall in love, but one night, two female plumber/thiefs, (Mario and Luigi's ansestors,) sneak in the castle and kill Dimentia. Driven by sadness and insanity, Devon puts on a cursed mask, which makes him live forever untill he's killed, and he becomes... Dimentio! Description: A green warp pipe with cartoony eyes. Power: Can teleport anybody anywhere they want to go in the Mushroom Kingdom but its only a one way trip similar to the Return Pipe from SPM. Description: A boring, regular Paragoomba who lives his daily life. Ya got a problem with that? Power: Walks around anticipating someone to jump on him. Sometimes he flies too. I don't blame him, he hates his life. P.S im not a girly girl. Appearance: Looks like Bowser except with glasses. Info: He's Bowser from a parallel universe and tries to make the Mushroom Kingdom a better place by having all species live in harmony, but he can never succeed because no matter how hard he tries, he can't seem to beat Negative Mario. Appearance: A Goomba with a fedora and shades. Info: He's a member of Bowser's army who secretly works as a double agent gathering info on the Koopa Troop's plan and sends them to the Mushroom Kingdom. Appearance: A pale blue Boo who emits a mysterious soft glow. She wears a silver halo on her head. Info: Selene aspired to join Bowser's army, but was rejected for being too weak. She vowed revenge and became a master of illusions. Now she fights against Bowser and tries to upsurp him as king of the koopas. She still considers herself Mario's enemy and tries to stop him from accomplishing his goals, whatever they may be. Powers: As a Boo, Selene has mastered a wide array of illusions and tricks. She can project images of herself or other things to confuse the enemy. She can also disguise herself and bend light to an extent. When the moon is high and round, you can't even see her because she blends right into the moonlight. I like this idea, so I'll try to draw a picture later. It's huge so I put it in spoiler tags. And a link too if you prefer. These are from an Mario FanComic i'm doing that it's call: "Super Blitzer Sisters"
Personality: She's like Mario. But as a girl and making it worst a teenager!. 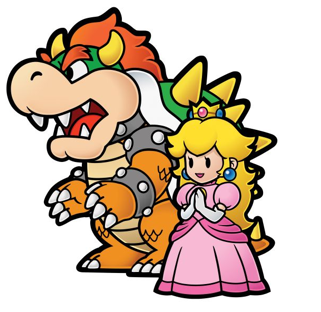 Appearance: A girl barely taller than Mario with a orange clad style with purple Overall, really tiny, she has really long and Wavy silver hair. Info: She's a Mario Fan who got sucked by a mysterius pipe that appeared out of nowhere when she and her Sister Sandra where hiding from their jackass classmates(wich make fun of the girls for being Mario Frikis) in an abandoned amusement park, they end up in the great mushroom kingdom where they met the bros, and a mysterius side of their past is slowly revealed. Fire Flower: she can make a fire shield for defense and her fire ball runs forward without losing contact with the ground. Super leaf: she can fly more faster than the others and can make typhoos with her tail. Personality: She's like Luigi. But as a girl and making it worst, a teenager!. Appearance: A girl as tall as luigi, with a really great body, with a blue clad style with purple overalls and really long pointy silver hair. Info: The same as her sister. Fire Flower: she creates a fire whip that can be thrown as a firewave. Feather: she can make tornados by spinning really fast. Also she uses her cape as a napkin once. Tanooki: she becomes really fast and agile at running, dodging, etc. Appearance: Yellow Shy Guy with a bow tie. Info: These are RPG enemies. Their attacks include rolling a dice block, whatever number comes up is multiplied by 5 inflicting that much damage on Mario or Luigi. They can also flip a coin. If heads, they attack Mario, if tails, they attack Luigi, there's also a roulette wheel with the numbers 5-30 in multiples of 5 and whatever number the wheel stops on is how much damage both Bros. take. When defeated, they always give 777 EXP. points and the number of coins they give is equal to how much damage the Mario Bros. take. Personality:Wishes to beat the snot outta a guy who wishes to remain anonymous Luigi. Species:Boo. Did I really need to tell you that. Appearance: Big, red Boo with beady, red eyes. Carries around pamphlets explaining why you should beat the snoy outta the awesome, not-so-red Mario Bro. Nuclear Boo was once a contestant on Vacuuming With the Stars when that guy Luigi won with the Polterguist 456356456. He vowed revenge from then on. He is a member of Extra Extra Extra Extra Very Very Very Very Insanely Insanely Insanely Insanely Levily Levily Levily Levil! (E.E.E.E.V.V.V.V.I.I.I.I.L.L.L.L.!). I w i l l s w a l l o w y o u r s o u l i f i t ' s u s e f u l . . . I would like to put ALL my OCs, but I have more than 40, so I can't show you them here. But I'm doing profiles of them on another webpage. I'm trying to continue my original art and fiction. I love games, my computer and stuff like this. An orange Yoshi with a green hat with a R that he took from Mario in Super Mario Bros. He has a red tummy and dark green cheeks and ocean blue eyes. He also wears Blue shoes. Motive:Rayshi has found out his brother has been helping Mario for years and that's when he decides to come and take action, but kidnaps him in a faraway castle when he breaks out using his super stylish bomb-omb buddy's, then hes stuck in the castle fending off 's, goomba's, Lakitu's, super unstylish bomb-omb's, and koopas.